Here is a great test you can do at the store on the PC's you might buy.  Type in Tallassee as the name of your town. Notice that your mouse acts as a hawk as the birds fly around on the screen. Verify that they scatter when your cursor gets close. Watch the video and listen to the audio. Do all the windows have video in them? Do scenes from Tallassee get incorporated into the video? When asked, draw your name with the mouse, It will look better if you start at the bottom of each stroke when drawing. When you finish drawing, the birds will land in the trees you drew. You might want to run it again using your street address instead of just Tallassee. Didn't work on your old PC, Try it again using the chrome browser. Now that you have seen what it does on your old PC you are ready to do some shopping. Be sure to go to a store that has internet access. There should be no errors. Everything should be nice and smooth, Audio should not break up. It should look much better than on your old PC. The birds should appear to fly from one window to another. When comparing two PC's run this page side by side at the same time if possible.